Christine Mosere as Louise Seger stands back to back with her favorite star, Patsy Cline, portrayed by Shelly Lynn Walsh. After being cast as legendary country singer in the musical play “Always…Patsy Cline,” Shelly Lynn Walsh had two weeks to learn 27 songs. 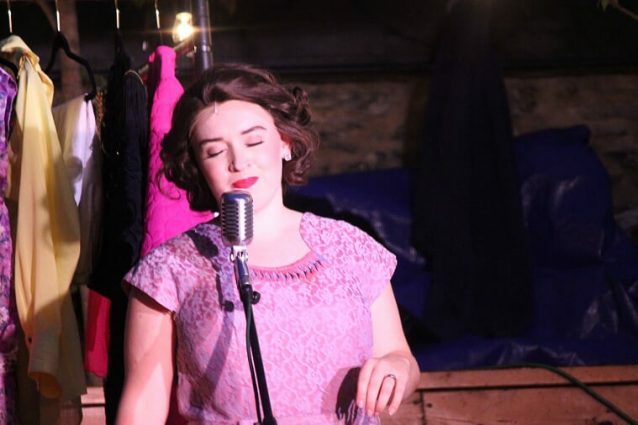 Every evening, she would learn two to three songs — pouring over lyrics, watching black-and-white videos of the singer who died at age 30 in a 1963 plane crash and reading “Sweet Dreams: The World of Patsy Cline,” a 2014 collection of essays edited by Warren R. Hofstra. 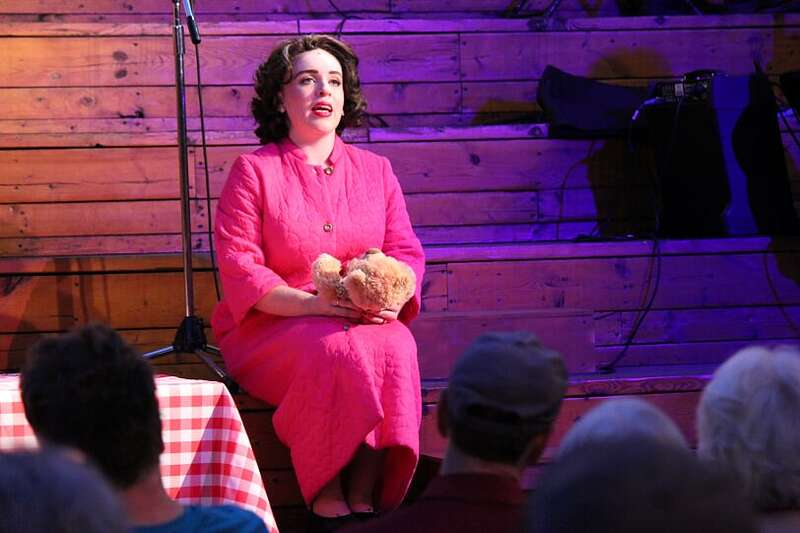 After a six-show set at Sky Stage in Frederick, “Always…Patsy Cline” will come to Germantown’s BlackRock Center for the Arts from Sept. 13 to 16. The production is the first from Free Range Humans, a new immersive entertainment company based in Frederick that plans to take on a wide variety of projects from site-specific theater to augmented reality pieces. The audience’s reaction has been Shegogue’s favorite part of the shows. She has heard sighs and seen smiles as songs are announced. She hopes people will relate to Cline as a person and experience the magic of her music. 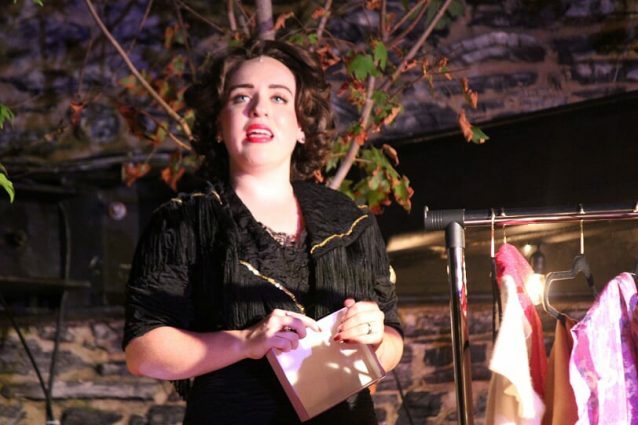 “I want the audience to leave humming her songs and remembering what an amazing performer and person she was,” Shegogue said. “She lived a pretty short life and a lot of our audiences have tended to be older. 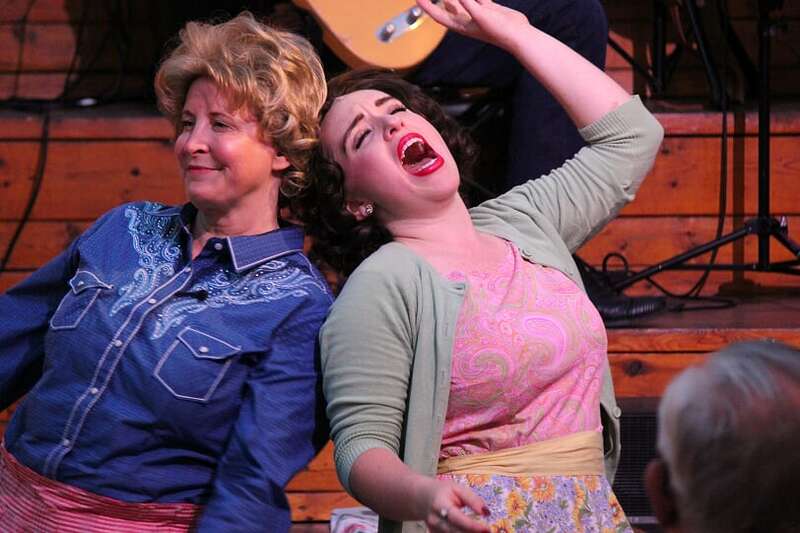 “Always…Patsy Cline” will be performed Sept. 13 through 16 at the BlackRock Center for the Arts, 12901 Town Commons Drive, Germantown. Shows start at 7:30 p.m. Thursday, 8 p.m. Friday and Saturday, and 3 p.m. Sunday. For more information and tickets, ranging from $25 to $40, visit blackrockcenter.org or call 301-528-2260.